It is the details that make the biggest impression in the feel of a home. Using the right artistic pieces demonstrates the personal importance of beauty and atmosphere. One of the things I think about the most these days is how a house becomes a home. A house can be any basic unit of dwelling, whether it’s a mobile home, an apartment, a super modern glass box or anything else in between. The form of the house never matters as much as what goes inside – because those are the people and special things that transform any space into a home. 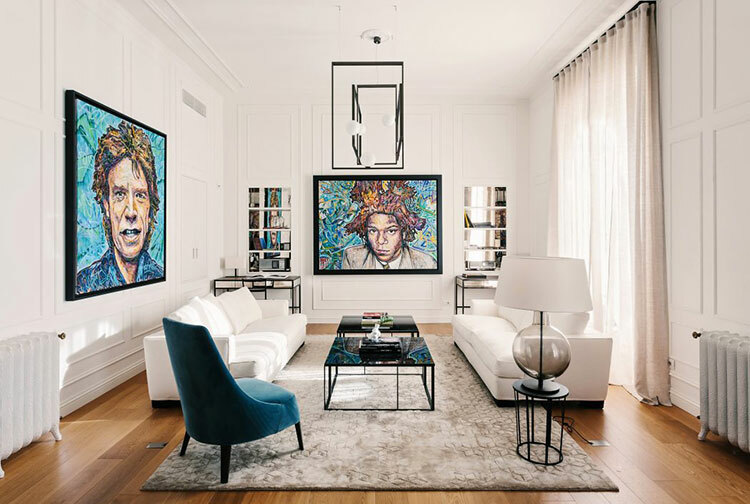 It’s easy to get caught up in the world of interior design and forget that making a home doesn’t require expensive furniture and bookshelves arranged by color. Around the world, people decorate their homes in vastly different ways. 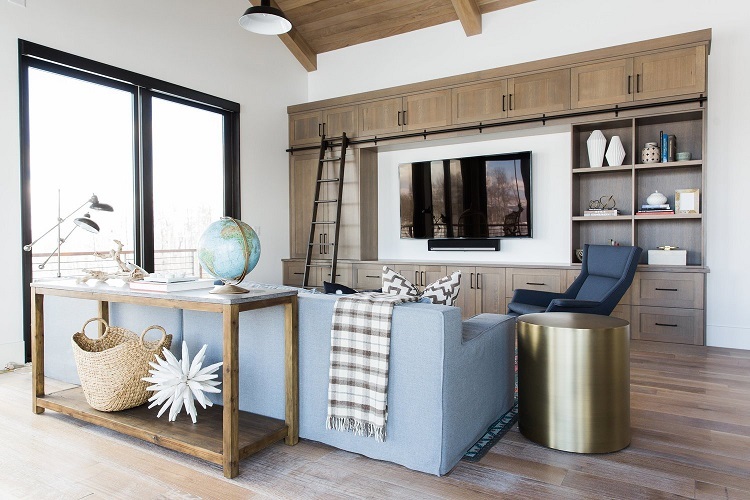 For some homes, family-made textiles are the focal point, for others, artwork, and for some, a clean, simple space that allows for a young family to grow and be active is most important. But no matter what size, shape or style your home takes, there are a few universal ideas that seem to pop up in homes time and time again. 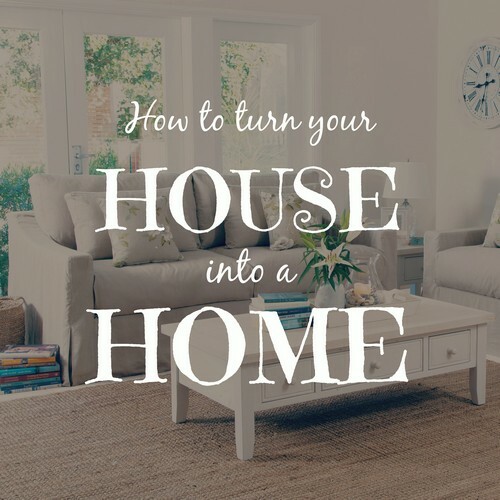 Those common elements are the things that intrigue me the most about homes that feel welcoming and lived-in, and they’re the elements I want to talk about here today. So today I’m sharing the key steps I see people taking to turn their spaces into homes: structures that not only house and protect people from the elements, but that tell a story, express a person or family’s interests and make guests feel welcome inside. From simple ideas like decorating walls with art that means something to you to more involved DIY projects like customizing the small details on your furniture, these are some of the steps I believe in most for turning any house (of any size) into a warm, welcoming home. The final results may look different for everyone, but the underlying goals and desire to feel at home are universal. You don’t have to be a world traveler to spread the scenic beauty of the world throughout your home. Select one or two photographers that capture the essence of meaning with their work. Next, choose your themes, such as nature, people, food or location. Sprinkle these framed prints throughout your home to add character and appreciation. Frame up your personal photos of family, friends, and adventures to inject some character into your space. You could create a gallery wall of several photos in a variety of frames or simply blow up some of your pics and hang them individually around your home. Adorning your walls with your child’s favorite artworks is another way to brighten up your home and make it your own. You’d be surprised what a nice frame and some glass can do to their masterpiece. One of the things that unite homes everywhere is an attention to what happens under your feet. Rugs and carpet aren’t the only things you can do to floors, but they’re a common first step because they help with the sound insulation in any room. If you’ve ever moved out of a home or apartment before, you remember how empty the space feels after you’ve removed your furniture and other belongings. Without anything to absorb sound, steps echo and can make a space feel emptier than you’d like. That softness and warm feeling that comes from having textiles in a room is something that instantly makes a room feel more lived-in. Functionality is a big component of any home. Often when we’re decorating our home we focus on design aesthetics first and the necessities of quality storage becomes an afterthought. Solely relying on building in cabinetry can leave your interior looking a little sparse. Invest in storage that looks visually pleasing and adds another layer of texture to your space. A timber console, an open bookcase or handmade baskets all enhances the feeling of your home. They also give you an opportunity to display treasured, personal items. The artwork is too often written off as being elitist, expensive and frivolous. But from the earliest days, people have decorated their homes with all sorts of things that mean something to them. From found objects in nature (like collections of shells and pinecones) and family weavings to photographs, sculptures, and paintings, art can be anything and everything you want it to be. And, most of all, it adds an element to your home that makes it feel unique to you, your interests and what you find beautiful. I personally find fairly empty walls to be soothing, but I find that artwork of any type (so long as it’s special to you) adds additional meaning to the architecture around you and highlights objects in a special way. If you’re looking to make your rooms come to life, make a short list of the things that you love and want to see every day. Your list could include a collection of books you’d like to display in a creative way, a family portrait, a branch you found in your yard or a doorstop you grew up with that becomes a tabletop sculpture – or anything else that makes you smile when you look at it. Give these items a special spot in your home (on a table, on a bookshelf, attached to the wall or housed in a display case or shadowbox) and they will take on a whole new meaning that gives people an instant sense of what you find beautiful when they walk in the door.